No credit card required. You have nothing to lose. The world’s largest businesses rely on PDF Converter Elite. 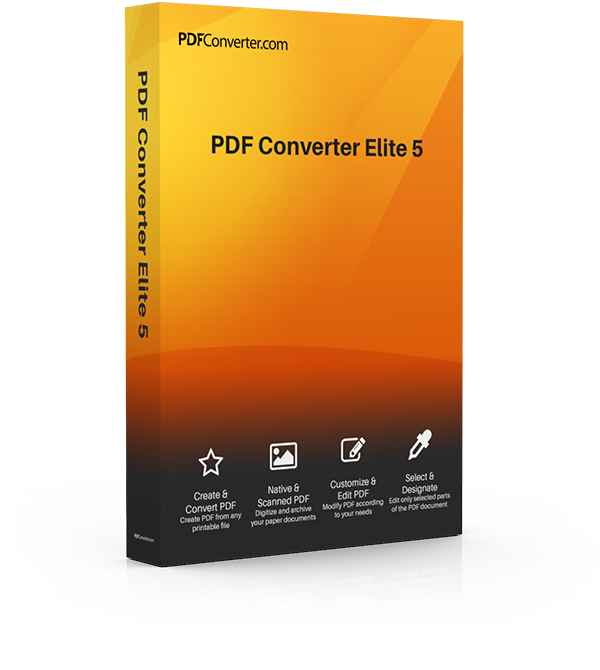 PDF Converter Elite now offers the first-class OCR technology. Extract text from image, scanned PDF, to fully editable Word, Excel, PowerPoint and many other formats. Now OCR technology is implemented into batch conversion as well. Use batch conversion to instantly turn multiple scans to an editable file format. Go beyond just a PDF to Microsoft Office converter. Reclaim drawings from PDF and bring them back to AutoCAD. Convert PDF to JPG, PNG, TIFF, GIF. Convert PDF to CSV. Change the content of your PDF file- add more text or remove the existing one. Work directly on a PDF, no need to convert a file. Add text in different color or font. Merge or split PDF files. Take advantage of editing options: scale, rotate, move, delete. PDF Converter Elite protects your PDF documents. Manage your document’s privacy and usage. Create secure PDF documents and apply different file permissions. Business documents are confidential and PDF Converter knows that. PDF Converter Elite solves PDF hassles and saves your organization valuable time and money. Get PDF Converter Elite for a fraction of the Adobe price and save budget for something else. Speed up the way you handle your PDF documents. Suitable for any kind of business. It works with native and scanned PDF files. If the PDF is scanned, check the Convert Using OCR option, you can find in the Conversion menu. You can also open other types of files, to create a PDF. Convert PDF to Word, Excel, CSV, PowerPoint, Publisher, OpenOffice, AutoCAD, Image, HTML. Every conversion type has additional options you can choose from. Convert the whole document or only specific area. Select exact page numbers you want to convert. Try advanced conversion options. PDF to Excel and CSV conversion has customized conversion as well.